Barcelona—if you haven’t been yet, it should definitely be at the top of your list of places to visit before you die. Fiercely proud, famously full of life, and overflowing with culture, it’s regularly voted among the top European destinations for travellers, and there’s always plenty to discover even if you’ve visited before. 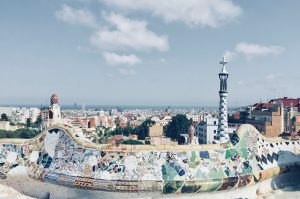 However, to experience Barcelona’s soul, its true heart, there’s just three things you need to remember— fantastic food, the ancient gothic quarter, and the ever-present influence of Antoni Gaudi. Here, we take a look at the very best the city has to offer and give you a few pointers along the way. As the capital of Catalonia, Barcelona’s gourmet delights are unique and always delicious. Fish and seafood are always on the menu, and there’s plenty to choose from when it comes to meat too. Mar i muntanya (sea and mountain) combines both across a variety of different dishes, and among the most popular is meatballs and cuttlefish cooked in rich tomato sauce. Looking for something a little more adventurous? Then cargols a la llauna gives you the chance to try barbequed snails with a tangy sauce. 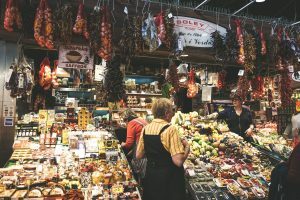 Despite its reputation as a meat and fish loving city, there’s also plenty of choice for vegetarians. Pa amb tomàquet is a simple dish consisting of toasted bread, fresh tomato puree, and garlic. Alternatively, and when in season, try a few Calçots—a type of green onion that is barbequed and then dipped into a garlic, tomato, and almond sauce. Finally, espinacs amb panses i pinyons is a simple sautéed spinach salad with raisins and pine nuts to taste—a mouthwatering side that works well with a variety of other dishes. With more than 2000 years of history knotted into its labyrinthine streets, Barcelona’s Gothic Quarter is a living history lesson that’s still full of vitality and energy. Check out the ancient Jewish Quarter which contains some of the narrowest streets in the city, explore Picasso’s old stomping grounds and the former site of the art school that taught him his trade, and browse La Boqueria —one of the oldest street markets in Europe. Other must-sees in the Gothic Quarter include the Roman Temple, the Gothic Cathedral, and the Plaça d’Antonio Lopez where you can see the old Roman walls that surrounded the city. 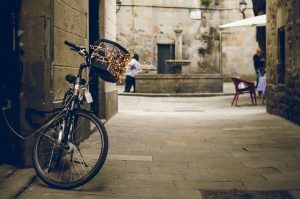 The Gothic Quarter is not only a trip back in time, however, and there’s plenty of ways to enjoy the here and now. Famed for its late-night party atmosphere and free-flowing sangria, it’s less about any one bar or cocktail lounge and more about dipping in and out to grab a drink and enjoy the unique ambience of the barrio. The party runs into the early hours and there’s a good chance you’ll watch the sunrise during summer. Barcelona wouldn’t be Barcelona without the visionary architecture of Antoni Gaudi. Many of his buildings are now designated World Heritage Sites, and of course, there’s the famous Sagrada Família that’s still under construction—137 years since ground was broken. The best way to see everything in the city is to take a tour with a knowledgeable guide. You’ll not only avoiding hours pouring over a map, but you’ll also get historical and contextual information on his work, and Barcelona as a whole, that will really bring the city to life. Park Güell is a highlight, but so too the Casa Milà and the Casa Vicens—two of Gaudi’s modernist masterpieces that were originally designed as residences but are now open to the public. Finally, no trip to Barcelona would be complete without a trip to the Basílica i Temple Expiatori de la Sagrada Família, a cathedral that simultaneously displays elements of Spanish Late Gothic, Catalan Modernism, and Art Nouveau architecture that combine to create a breathtaking spectacle that has to be seen to be believed.